Acidity is incredibly important in drinks - a pH of less than 7 lends substance to everything from wine to soft drinks. In mixed drinks citric is the 'go to' acid, most commonly through lemon or lime juice, with malic acid arguably a close second through apples and grapes, then tartaric and lactic. But there's another, oft-overlooked acid that adds complexity to cocktails - acetic acid. Vinegar is an acetic acid and offers bartenders a wealth of new flavour opportunities, so much so that it formed the basis for a seminar at this year's recent Tales of the Cocktail. When you reach for an old bottle of wine and find that it has oxidized, we tend to describe it as 'vinegary'. And it's an accurate description: it has become vinegar as the ethanol naturally oxidizes - it's a double fermented product, if you like. Culturally, we are familiar with a host of different vinegars - from malt to white wine, red wine, sherry, Balsamic and possibly a small variety of fruit vinegars - raspberry for instance. Actually, says Kelley Slagle, they can be derived from practically anything to create a veritable treasure trove of sour flavours. Kelley is a 'retired' New York bartender with a degree in culinary arts, who combines working at Cocktail Kingdom with teaching classes at the Astor Center. She also just completed an investigation into vinegars. "There are almost unlimited varieties, it's surprising. There's vinegar from apple cider, rice, coconut sap, vanilla, tomato, banana, date, bamboo, pineapple, honey, mango, sorghum, palm and cocoa. They're really distinct and interesting. I've also found maple vinegar from Canada, three years fermented. "Without acidity you have flabby drinks - you need it for 'backbone' - but vinegar is the underdog of fermented liquids and doesn't get a lot of respect. It's actually a fun and delicious way to add to mixed drinks." "We started to get an intuitive feeling for how acidity behaved in solution," says Karl duHoffman, a wine maker and distiller at Winebow, (itself a distributor and importer of wines), who collaborated with Kelley in the study. "It's not how much of something you use, it's about how it's mixing, just like balance in any cocktail." As a general rule, Karl and Kelley have concluded, you should use about a third the quantity of vinegar in a cocktail as you would use citric acid, such as lemon juice. Acetic acid is three times more powerful than citric acid in terms of perceived acidity on the palate. As always, you should not simply be led measurements but to experiment to see what works with different spirits and in different drinks. Vinegar is certainly not a new addition to drinks-making. Jerry Thomas called for a quart of unspecified vinegar for his Raspberry Shrub - combining it with three quarts of raspberries, letting it stand a day, straining it, then adding a pound of sugar for each pint, skimming it clear and boiling for half an hour. When it was cool, he would add a wine glass of brandy for each pint. To serve, two spoonfuls of the mixture should be served with a tumbler of water. "An excellent drink in warm weather, and in fevers," he said, though his other shrubs do not contain vinegar. And its use in mixed drinks easily preceded the Professor's time. 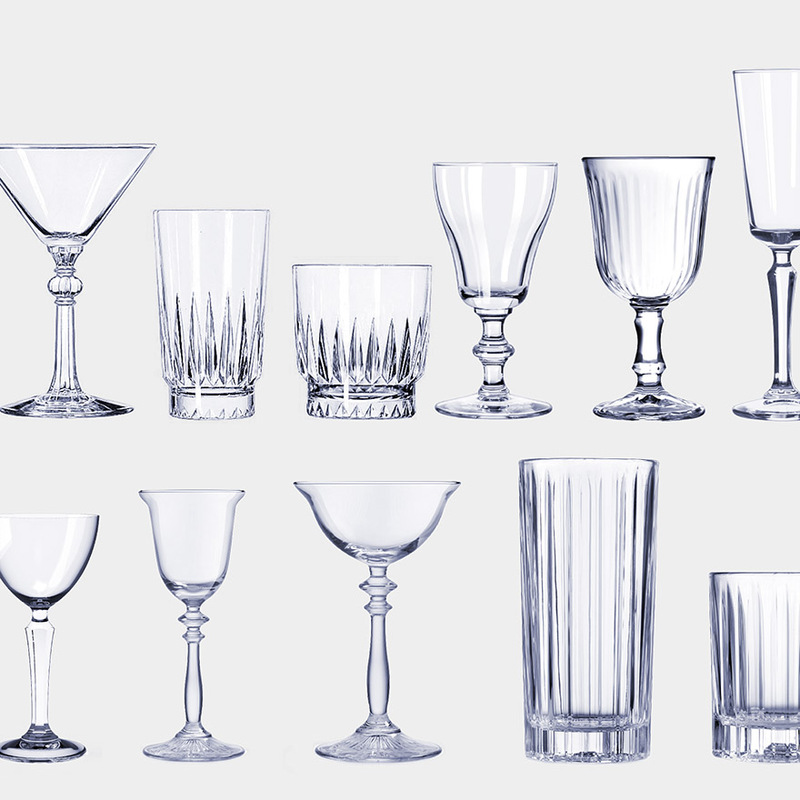 It was already recognised as a way to preserve drinks in Colonial times, says Kelley. "Shrub tends to last a long time. You can fortify it but I've never had one go bad and they'll last for two months in the cooler. People were drinking vinegar drinks before refrigeration, and that's kind of the point." A Hay Time Switchel that farm labourers would mix with rum in the 18th century combines water, molasses, ginger and apple cider vinegar. Kelley's updated version is the Haymaker's punch, combining 2oz rum, apple cider vinegar, molasses, ginger, sugar and water. Going back even further, vinegar was used in ancient Greece, says Ashley Greene, a former bartender at New York's Tailor, now at Vinegar Hill House in Brooklyn. 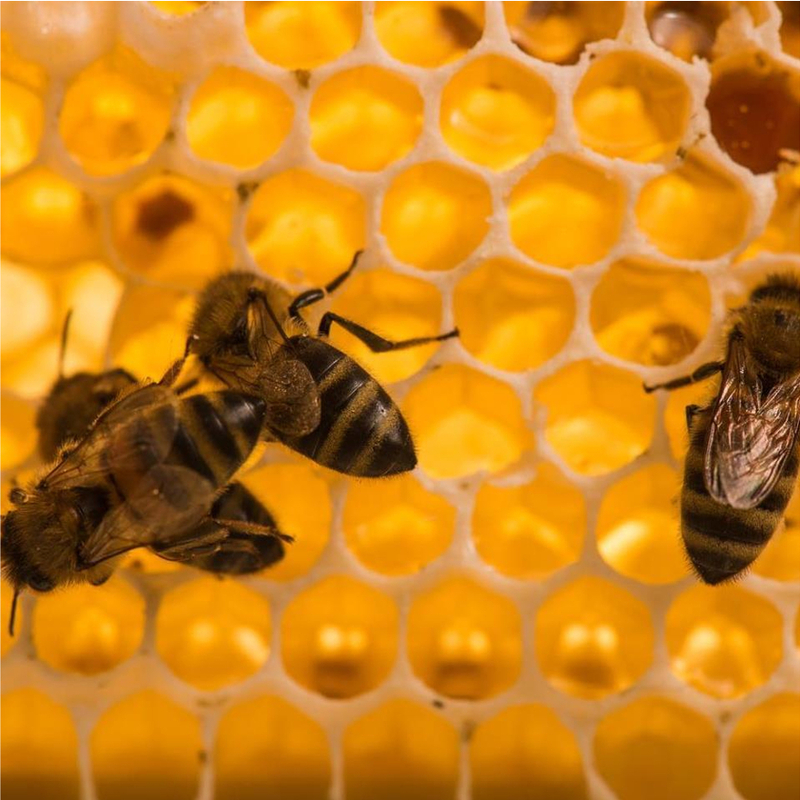 Oxymel, a mix of honey, vinegar and water and was considered a restorative and dates from 460BC. Five hundred years later and Posca was apparently also popular - a combination of vinegar, honey, coriander seeds and water. 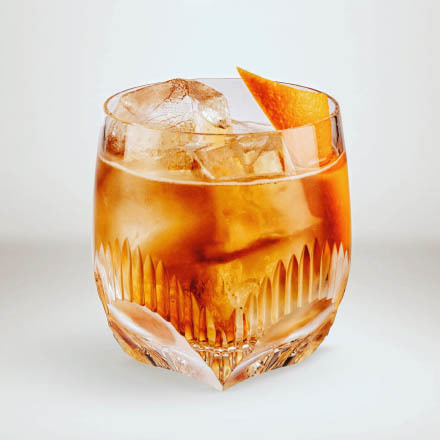 Fast forward to modern-day bartending, and, arguably an extension of the Dirty Martini is the Pickleback, mixing sugar, salt and vinegar, traditionally drunk as a chaser after a shot of alcohol, and popular in New York for the past three years or so. Kelley's former home at Hearth bar, in the East Village, New York, saw her use vinegar in cocktails such as The Jimmy Bedford - named for the late master distiller at Jack Daniel's and combining the spirit with pickled apple syrup and soda with a pickled apple garnish - the Apple syrup being a 50 per cent reduction of apple cider vinegar and fresh apple juice. Method: SHAKE ingredients with ice and strain over a single very large ice cube. Combine 1 cup of fresh apple juice, 1 cup of Apple Cider Vinegar and 1 cup sugar. Reduce over a very low heat to 50 per cent of original volume. This takes approximately 1-2 hours to reduce. Chill before using. Combine lemon juice, sugar and water, over a medium heat. When mixture turns brown and no longer bubbles slowly stir in vinegar and cardamom seeds. Gradually add grapefruit juice and continue stirring until the mixture is smooth and syrupy, then strain and cool. Vinegar can also be used in smaller quantities in concentrated tinctures. 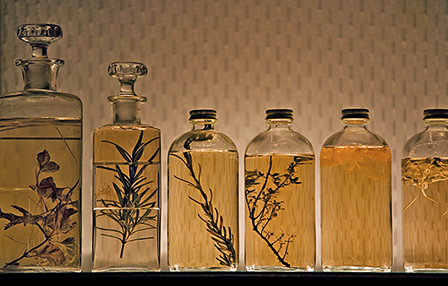 Rather than spirits-based herbal infusions, you can create vinegar-based tinctures and bitters. 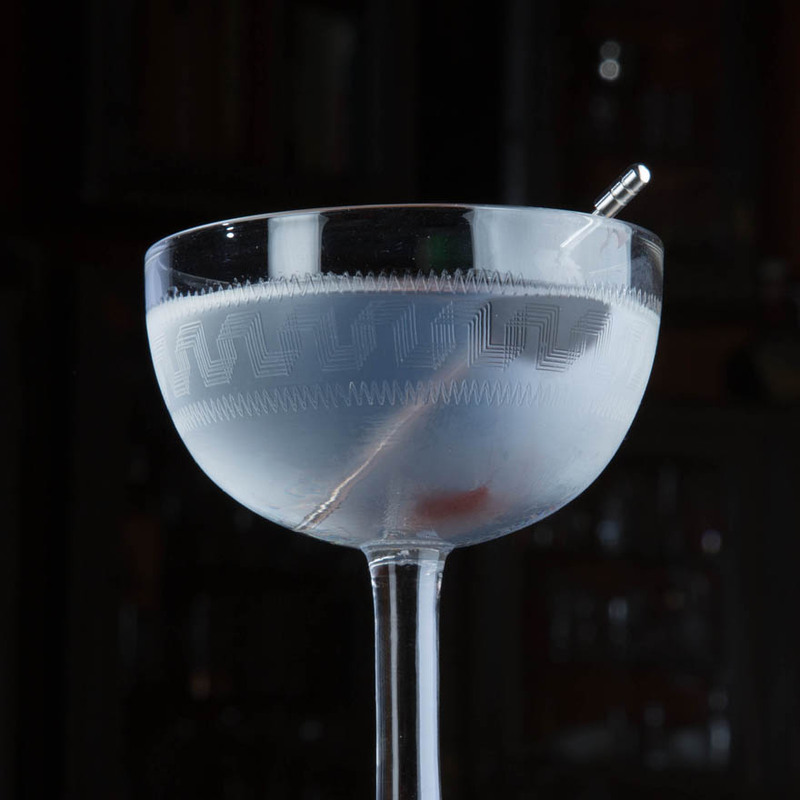 "They can really liven up classic cocktails," says Kelley. "I use Mason jars for tinctures, filling them half-way with whatever spice, with a high ratio to vinegar. Shake them on a daily basis." She has created a fennel-flavoured white wine vinegar-based tincture which she uses in small amounts in a classic gin Martini. Three drops gives it a slight fennel flavour, a barely detectable acidity that lifts the cocktail to a higher level. Six drops gives a stronger fennel scent but not overpowering, a fennel finish and a vinegar brightness. Nine drops is too much, creating too much fennel 'heat' and an overpowering smell. Her cacao-flavoured balsamic vinegar-based tincture works well in an aged Manhattan. "We found in the Manhattan that three drops brightened up the palate, added a nice intensity and brought the drink to life," says Ashley. 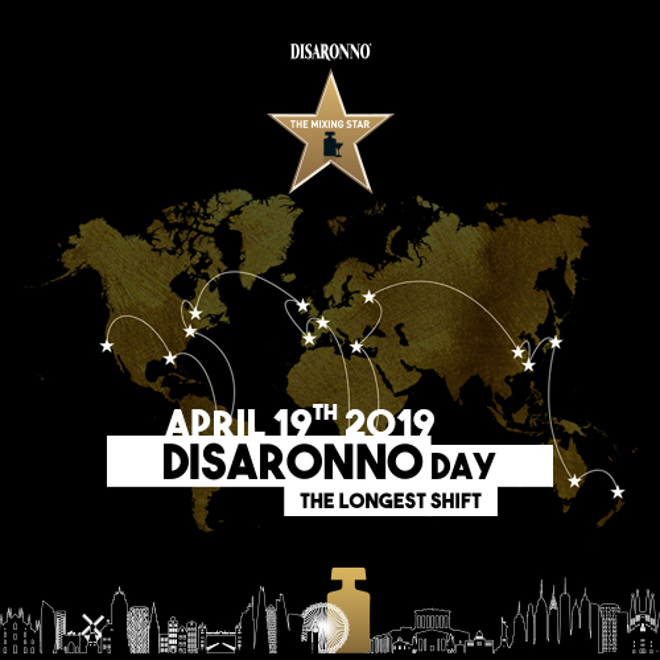 "Six drops gave it a much more pronounced and drier quality with a cocoa finish, but nine drops was too much, giving it a more vinegar and tannic nose." We've seen Purl in London also produce a sherry vinegar-based shrub, which it uses in a Margarita to replace the lime juice, and at sister venue the Worship Street Whistling Shop its best-selling cocktail, the Panacea, contains a cider vinegar-based shrub with lavender and honey. "We found that most people are initially a little put off by the idea of drinking vinegar, but the proof is in the pudding. 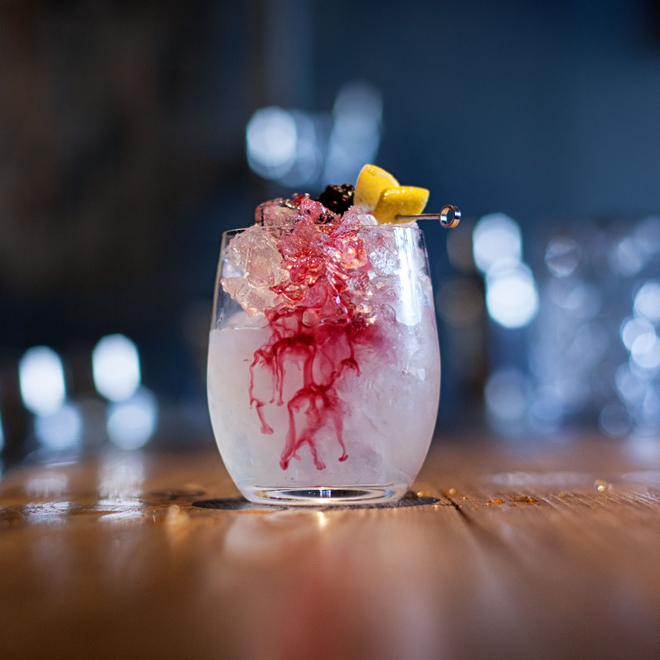 It's an acid just like anything else that makes a drink sour, with a closer relationship to alcohol than citrus, if anything," says Purl co-owner Tristan Stephenson. 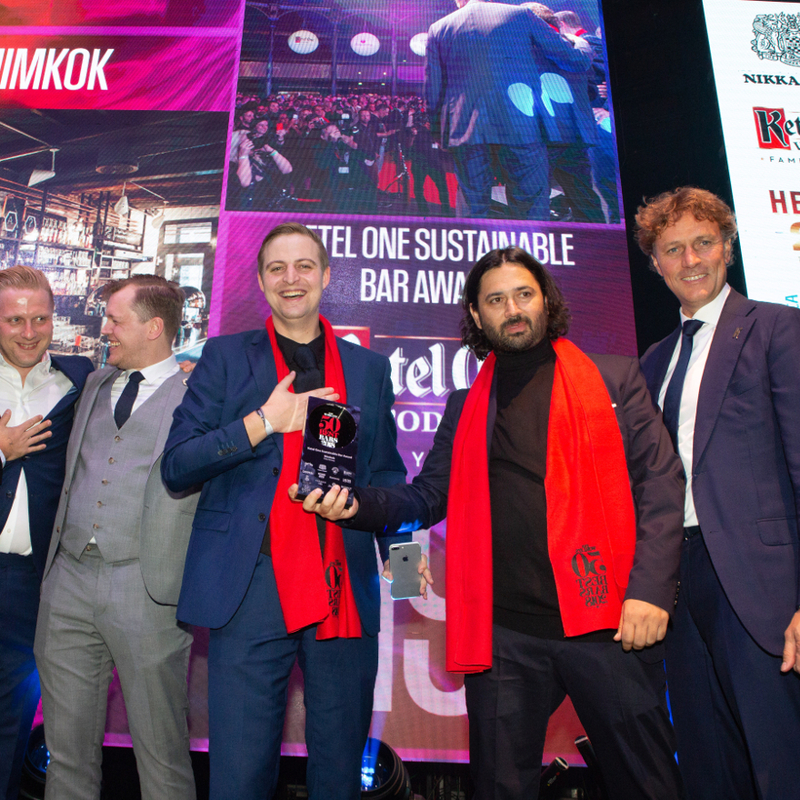 "We bartenders are a bit guilty of sticking to citrus fruit, when there are opportunities to toy with malic, tartaric, acetic and lactic acids." Nightjar in Old Street also has a seasonal shrub on the back-bar, made with vinegar. Bar manager Marian Beke combines seasonal berries, sugar, herbs and spices including lavender, cloves and nutmeg with red wine and sweet sherry. He reduces the mixture by half, adds raspberry or cider vinegar, and serves it with dark rum, cognac or gin, with lemon juice, all over crushed ice with soda. Traditional Italian balsamic vinegar (aceto balsamico) is made from the juice of white grapes (typically Trebbiano) reduced by boiling to 50 per cent of its original volume. This concentrated must is then fermented and aged in wooden casks. The finest balsamic vinegars are aged for decades, over which time, evaporation further concentrates the flavours and natural sugars. 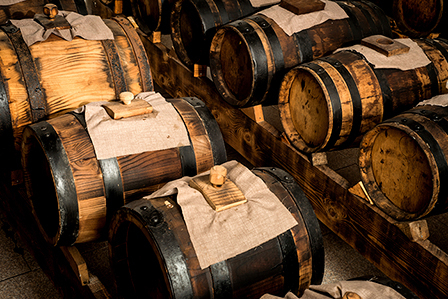 During this ageing period the vinegar is transferred to progressively smaller casks made of different woods, each imparting slightly different flavours. 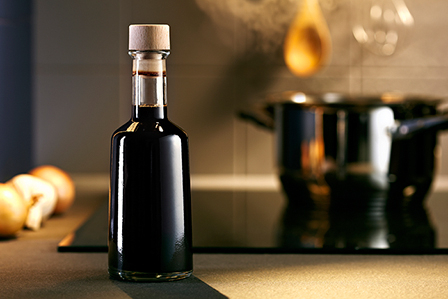 More basic, cheaper balsamic vinegars are produced without the benefit of oak ageing, but these are not allowed to be termed 'traditional'.